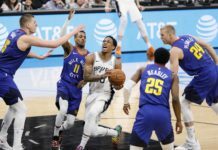 Technically, the Denver Nuggets haven’t made the playoffs just yet, but you’d might as well start the playoffs for the Nuggets as they get ready for a one-game, play-in situation against the Minnesota Timberwolves Wednesday night in Minnesota. Win and they’re in. 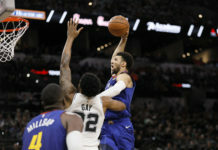 Lose and the Nuggets will miss the postseason for the fifth straight year. 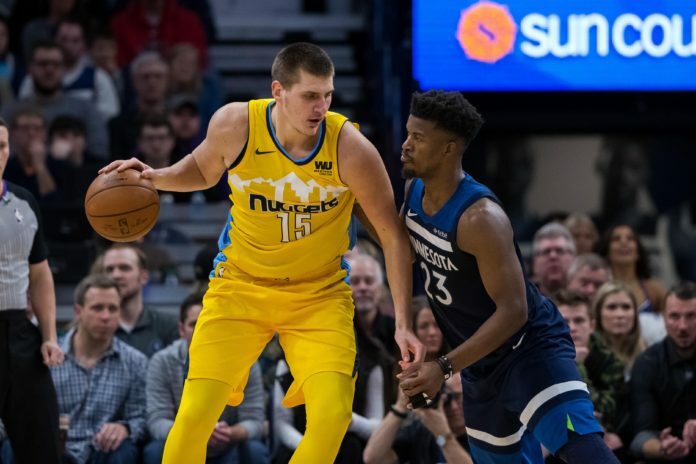 Discussing the match up between the Nuggets and Timberwolves with Eric Goodman and Les Shapiro of Mile High Sports AM 1340 | FM 104.7 is the voice of the Timberwolves, Dave Benz. 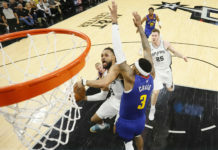 Benz says the Timberwolves may not be the third-seed quality that they boasted for a majority of the season because of Jimmy Butler returning from injury just a week ago, but the Nuggets will certainly see a very prepared team. Benz also discussed the difference makers on each team and what both clubs need to do, to punch their ticket to the playoffs. It’s that max-deal player potential that Benz thinks — if Wiggins shows up — can win the game for the Timberwolves. Click here to listen to the full interview with Dave Benz, including what he had to say about the future of Tom Thibodeau, Minnesota’s season and more, or listen to the podcast below.